« Facebook ‘s Timeline cover – wow style. I have taken some care as to how I dress my hunters, and have tried to keep to a color coordinated theme each. Yes they could be considered dressed risque and completely impractical, but I like the look, and that’s what’s important right, pure atheistics as apposed to practicality. 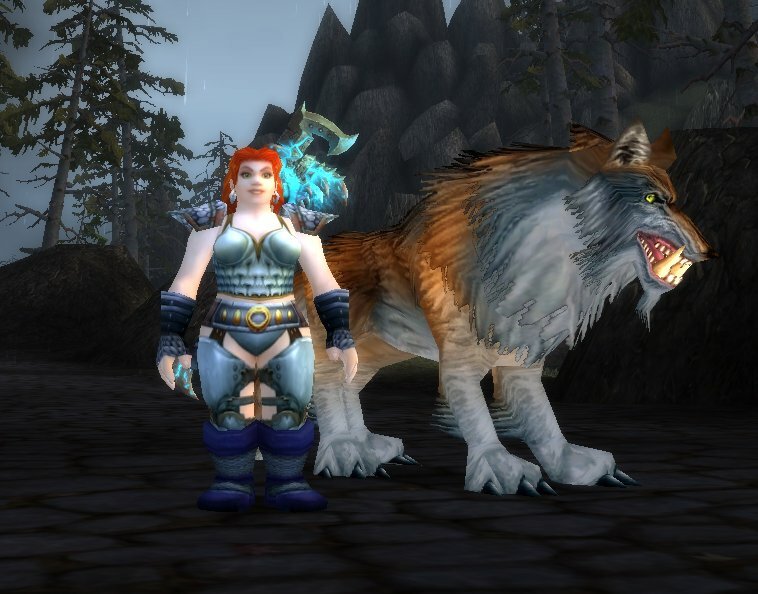 For some reason these pants on Dwarves create an un- natural attachment, so I don’t wear these. 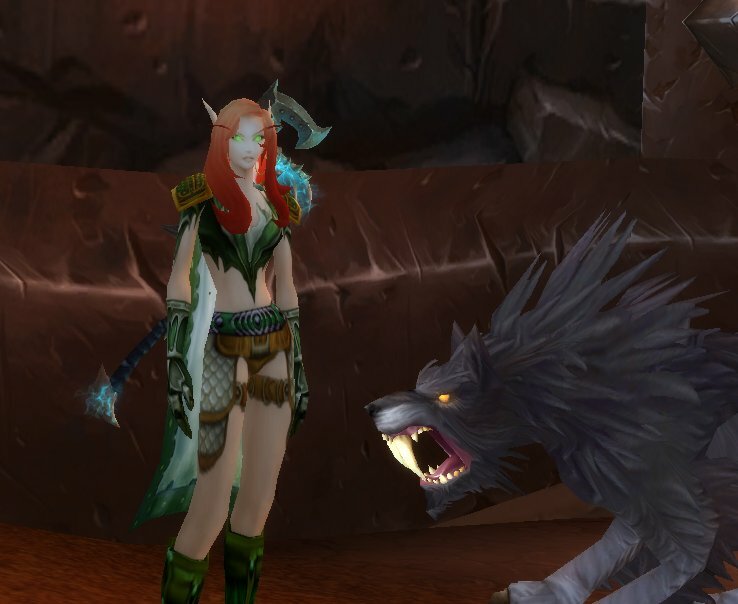 And Desdemonia my horde hunter on Jubei”Thos who even got a cloak to match! 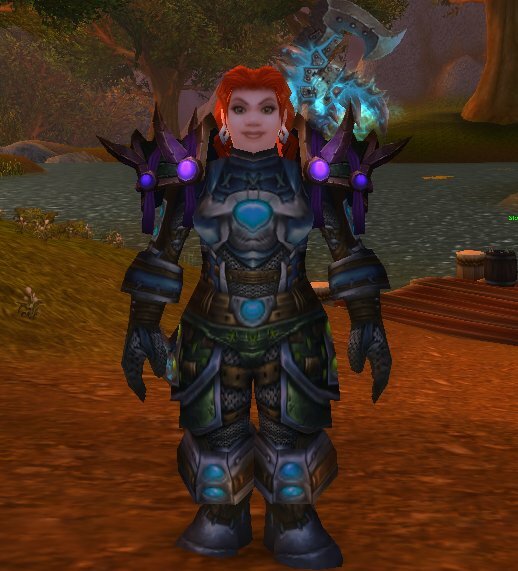 What I notice more so on my Horde hunter wearing her bright green, is how colourful she is compared to most people. If you look around a city most people are dressed in very dull greys and browns. I think the green is refreshing. I really like that gold set on Zippina.